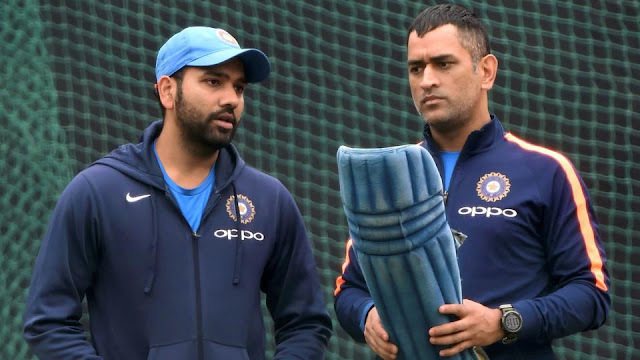 First ODI for the Indian skipper Rohit Sharma who has been got defeated badly in the very first ODI of this India tour of Srilanka.In the absence of the Virat Kohli team India suffered a lot in the first ODI. Read Virat and Anushka wedding story. New Delhi: After being battered in the Test series, the Lankans produced a stunning display of ruthlessness to first restrict the hosts to 112 and then chase the runs down in 20.4 overs to register a 7-wicket victory in the opening game of the three-match series. For the Lankans who had been the subject of much political discourse ahead of this series, the win was more than just a statement from them as they will now wear a confident look going into the second game. 1. Each of the last 4 ODIs contested at Mohali has been won by the team chasing. So expect the team, winning the toss to the field. Also after how things panned for India in 1st ODI, they would look to make amends in their batting, and look to chase, which they are comfortable in doing. 2. One more century for India to tie their record for most ODI tons in a calendar year. Right now they have 17 ODI tons this year, while in 1998, they had 18 ODI tons. 3. India enjoys a 64.29% win-rate at PCA stadium having played 14 and won 9. Also, India has won the 4 out of the last 5 matches at Mohali. 4. 109 runs needed by MS Dhoni to reach 10,000 ODI runs. He will be the 4th Indian and 12th person overall to this landmark. 5. 130 runs needed by Shikhar Dhawan to reach 4,000 ODI runs. 6. Hardik Pandya needs two more wickets to take 30 ODI wickets and score 500 ODI runs this year. This will be just the second time an Indian player has managed this (after Kapil Dev in 1986). 7. Jasprit Bumrah is the joint 3rd highest wicket-taker in ODIs this year with Liam Plunket; both of them have 36 wickets. So this Indian has a chance to surpass him. 8. Jasprit Bumrah needs two more wickets to take 50 international wickets in 2017. He will be the 3rd Indian to do so after Ashwin (64) and Jadeja (62). 9. The in-form Sri Lankan bowler Suranga Lakmal needs three more Wickets to reach 200 international wickets. 10. Ajinkya Rahane needs 178 runs to reach 3,000 ODI runs. As Rohit Sharma walked to the middle of the PCA Stadium in Mohali on a gloomy Tuesday afternoon, he stopped to have a look -- not at the covered pitch but the moisture-laden dark clouds. The 24th Indian ODI skipper has only three games to prove his leadership skills. Dharamsala was forgettable and Mohali, too, hasn’t been forgiving so far due to the inclement weather. Come Wednesday, Rohit would be hoping the weather gods are kind. A seven-wicket loss in Dharamsala has put the hosts on the back foot. Mohali is the proverbial do-or-die game and the conditions could be more challenging due to the unseasonal rain. Rohit admits that the result in the first game was an eye-opener for India, which has had an impeccable record against the Lankans. What would also be of extreme concern for him is the top order’s weakness against the moving ball. The Indian top order succumbed to the pressure created by pacers Nuwan Pradeep, Suranga Lakmal, and Angelo Mathews. The conditions could be tricky again in Mohali, and it will be interesting to see if Ajinkya Rahane makes it to the eleven. Rohit might consider him as a specialist opener but Rahane’s resilience and technique against pacers makes him eligible to play at No 3 as well. Add Manish Pandey and Hardik Pandya’s flop-show and it seems the team management has plenty to discuss before the first ball is bowled in Mohali. Pandya scored only 10 when he needed to stay in the middle with Dhoni. He also proved ineffective and costly with the ball. and too hasn’t done much to live up to his reputation. In eight games this year, he has reached 50 just once. On Tuesday, coach Ravi Shastri was seen having a chat with openers Rohit Sharma and Shikhar Dhawan during the indoor nets. The team think-tank knows the openers have to fire to achieve a series-levelling victory. The record favors the hosts --- they have won nine out of 14 games. But for Rohit, it hardly matters as the Lankans will strike with full force in a bid to win their maiden ODI series this year. The silver lining amid the dark clouds is MS Dhoni. His 65 in Dharamsala took India past 100. Eighteen-year-old Washington Sundar --- included in the team in place of Kedar Jhadav --- also believes that Dhoni’s counter-attack worked for India. “He batted very well in tough conditions. If he had got the support of one or two batsmen, India would have scored 60-70 runs more and, I don’t think, Sri Lanka could have chased that total,” said the Tamil Nadu youngster.